The silver fern (a species of tree fern, Cyathea dealbata) has been an important, though unofficial, national emblem since it was first worn by players in the 1888 New Zealand Natives rugby team which toured Britain. It has been used mostly as a badge by representative sporting teams and on military uniforms and graves, but also became a trademark for meat and dairy exports. 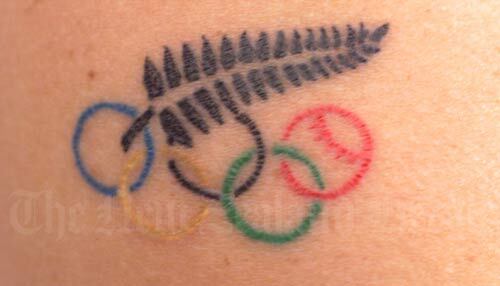 Softball outfielder Kim Dermott, an Olympic representative in 2000, started a trend by getting a tattoo of the emblem. The tattoo design includes the Olympic rings, one of which has the lace stitching of a softball.